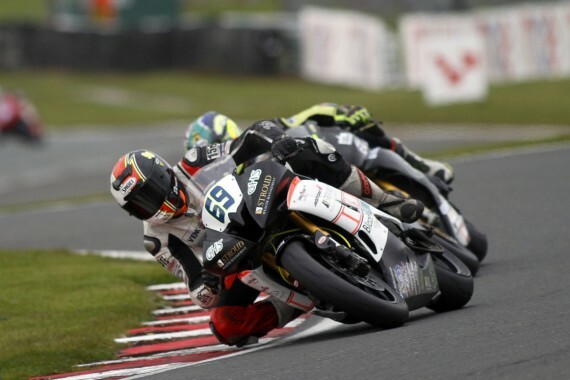 Ryan Dixon is coming of age in the Dickies British Supersport Championship, with regular points scoring finishes. It has meant that the hard work and the step up to the Supersport class in 2015 is now really paying off for Ryan in the 2016 campaign. That years’ experience in the class means that Ryan is now able to mix it at the top end of the grid and challenge for the top ten on a regular basis. In the first two rounds of the season Ryan managed points scoring finishes and it meant it was a dream start to the season. Last time out Dixon was on his home track of Brands Hatch although on the Indy Circuit unfortunately Ryan hasn’t had the best of luck. “The Indy circuit at Brands has never been kind to me, in my four visits there I don’t think I’ve ever had a hassle free weekend where I’ve not been involved in some kind of incident or had some kind of issue. It’s like I have some sort of bad omen there which I can’t shake off. “The conditions were a bit tricky yes, it was raining but not enough to make the track surface wet or affect grip levels or so I thought. Up until I slid off, I’d had no moments to warn me whatsoever and I was pushing on and moving on up the field and further into the points. With Ryan then having to start further down the grid for race two, it was going to be a tough ask for Ryan to make places up, and as we know Brands Hatch is a hard circuit to overtake on. Something Dixon agrees with. He said: “It is indeed, with only two, possibly three really decent overtaking spots on the circuit, I knew I was up against it but I went into the race confident, knowing I’d do what I could and try and salvage something. It is now mid-June until Ryan is back on track but he won’t be wasting time as he is busy keeping fit and preparing the bike for the next round at Knockhill. He added: “In the run up to Knockhill I will continue to train to keep my fitness levels where they need to be and enable myself to be as competitive as possible, however I know it will be tough. Like Brands Indy circuit, Knockhill is another I’ve never really had the best time at but I will be striving and doing my very best to change that. “It is probably the most physical track on the calendar in my opinion with no rest but I’ll give it my best shot. With regards the bike, provisions and preparations to make sure all repairs are complete and the bike is good and ready to go are already underway and I’m sure both myself and the bike will be ready to go in plenty of time. This entry was posted	on Thursday, June 2nd, 2016 at 8:00 am	and is filed under Featured, Motor Racing. You can follow any responses to this entry through the RSS 2.0 feed. Both comments and pings are currently closed.